OPENING: 5th SEPTEMBER 2014, 18:30-20:30 – SAVE THE DATE!!! 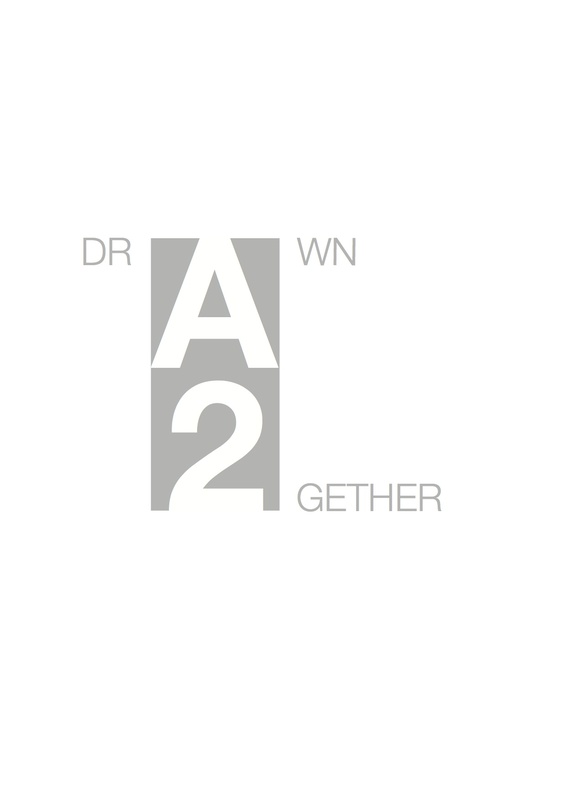 After a long break GiG Munich begins season 2014 with drAwn 2gether, a group exhibition featuring 12 artists connected with the gallery, both directly and indirectly. Despite widely divergent practices, each had agreed to submit one drawing on the condition it is the standard A2 landscape in size. What the drawing is – this was left for the individual artist to decide. As a premise then, the show takes up the old and somewhat tired question of medium: on the one hand art theory’s preoccupation with how to classify, assess and give value to the fact that the arts are diverse rather than one; on the other, philosophy’s affirmation of the one essence of art. But while it acknowledges the tension inherent in these two concepts of art, it makes no serious claims to that effect. Instead, it makes use of this tension to bring together an otherwise disparate group, while simultaneously allowing for their differences. Whereas the restriction in format is meant to serve as an individuating device, spotlighting the artist’s particular set of concerns, the call for drawing affirms art (as Adorno righty notes) a free movement of discrete moments.